I’m very excited to share a video tutorial I recorded recently with my youngest daughter, Amelia Claire. CraftSanity, the podcast, launched a couple months after Amelia was born, so she has grown up a part of this family business that has expanded through the years to include a blog, handmade weaving loom company, a magazine, YouTube channel, printshop and more. Amelia is 11 now and I’m thrilled to give her a platform to experiment, create and share her ideas with the world. Life gets really fun when our kids grow up and become wonderful and inspiring collaborators. As I type, I know that Amelia has already recorded a second video, so this won’t be a one-hit wonder situation. And we’re hoping to get her big sister, Abby, involved in one of these kids video projects soon, too. If you have ideas for videos or products you’d like us to review, leave a comment below and we’ll see what we can do. 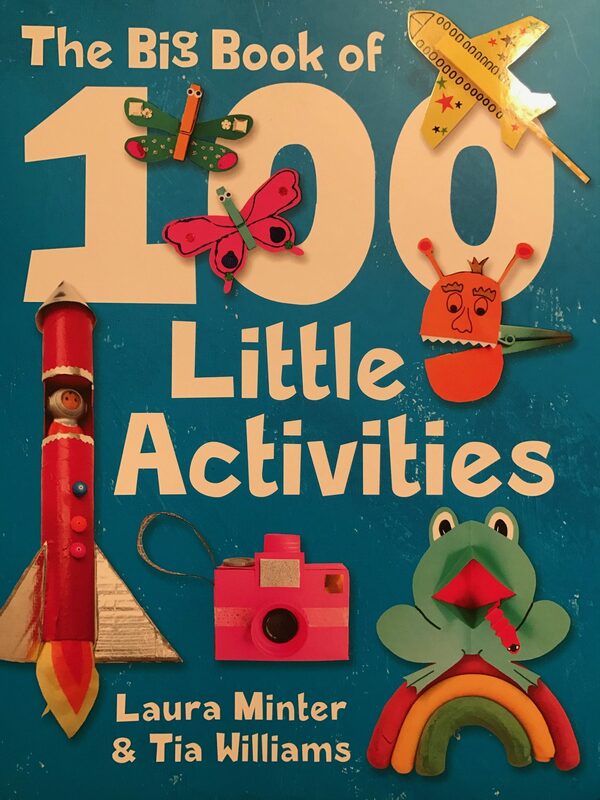 The inspiration for these pinatas come from “The Big Book of 100 Little Activities” ($19.95, 144 pages) by Laura Minter and Tia Williams. The book is full of fun things to do. On page 64, it has Tia and Laura’s instructions to make pinatas, but I mine different by using things I had around the house. 1) Punch out a circle and cut 1/2″ slits around the perimeter. Fold the paper tabs created by the slits down over one end of cardboard tube. 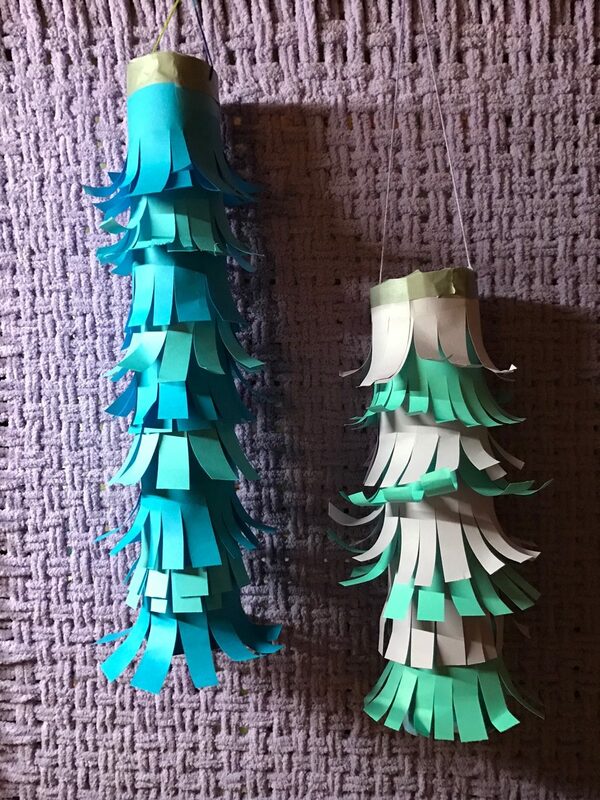 2) Cut a total of 10 2½” wide strips of paper. Then wrap the edge of the paper with the slits around a chopstick, pencil or wooden dowel to curl. Then unroll them and and cut slits a ½” apart along one long edge of the paper strip. 3) Now tape the strips to the tube. Start on the bottom and work your why up. Wrap each strip around the tube and tape to the uncurled edge to the tube. Overlap the next strip to cover the tape of the first strip. 4) When you get to the top there will be a spot where you cannot fit one more strip of paper. So, wrap some washi tape around the top to cover the tape used to affix the last curled strip. 5) Use a paper punch to punch out little holes and feed the needle threaded with embroidery thread through and tie a knot. And that’s how to make cute pinatas, if you want more info go to the craftsanity’s youtube channel. 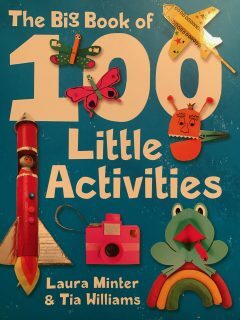 Also be sure to check out “The Big Book of 100 Little Activities” By Laura Minter And Tia Williams. Please comment below if you have an idea for an upcoming CraftSanity Kids video. Thanks for some other magnificent article. Where else may just anyone get that type of info in such an ideal approach of writing? I have a presentation next week, and I’m at the search for such information. My brother suggested I may like this website. He used to be entirely right. This put up truly made my day. You can not believe just how much time I had spent for this info! Thanks! Excellent post. I was checking constantly this blog and I’m impressed! Very helpful info specifically the last part :) I care for such info a lot. I was seeking this certain info for a very long time. Thank you and good luck.